While doing graduate work in Pinochet-era Chile, Philip Oxhorn realized the crucial role of public statements, such as murals (above), in the blossoming of political consciousness. Presently, CDAS comprises 35 professors and 17 grad students. Since receiving an infusion of funding from the Canadian International Development Agency (CIDA) in 2006, the centre has undertaken a number of new initiatives to share its research with those working in or with emerging democracies. An electronic journal, Foresight: Thinking About Tomorrow’s Development Problems Today, takes a long-term approach to questions about creating and strengthening democracies. This past March, CDAS hosted a conference about the challenges facing development in sub-Saharan Africa; in June, it also organized a discussion session at the International Economic Forum of the Americas/Conference of Montreal. Participants at other recent CDAS events have included the director of the World Bank’s Economics of Education program, Somalia’s Minister of State for Defence, and the president of the Nepalese Institute for Conflict Management Peace and Development. Last fall, a prominent Canadian became part of CDAS when former prime minister Joe Clark was appointed as a Professor of Practice for Public-Private Sector Partnerships. “A lot of lip service has been paid in the past 10 years to participatory development,” says Oxhorn, “but is that really participatory? Are people really seeing their interests served? What kinds of housing policies really reach the poor? What are truly effective ways to deliver HIV/AIDS medicine? The McGill Centre for Developing-Area Studies receives funding from McGill University and the Canadian International Development Agency. 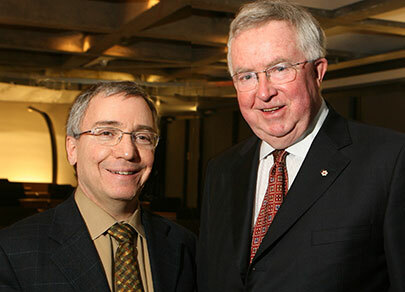 At the 2006 International Economic Forum of the Americas/ Conference of Montréal, Joe Clark participated in a panel about governance and institutional reform. Centre for Developing-Area Studies director Philip Oxhorn moderated the panel, impressing Clark with his discussion of the centre’s mission. In fact, the former prime minister of Canada and secretary of state for external affairs was so impressed that, six months later, he joined CDAS as a Professor of Practice for Public-Private Sector Partnerships. 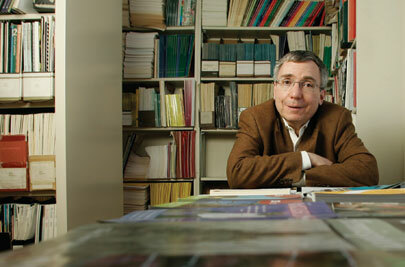 Clark is not teaching during the first year of his professorship, but has been a regular guest lecturer in undergraduate and graduate courses. In January, he gave a major public lecture, addressing what he sees as recent “troubling departures” from traditional Canadian foreign policy. He has also spearheaded several CDAS initiatives, including conferences on Africa’s development challenges and Canada’s relations with the English-speaking Caribbean.